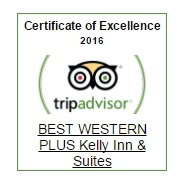 The Best Western Plus Kelly Inn & Suites Billings is easily accessible to everything you are looking for in Billings! Enjoy pillow top beds and 37" flat screen TV's in all guest rooms! Kids of all ages will enjoy our water playland - complete with two slides and more! Flexible meeting space complete with your audio-visual needs for groups of 80 or less. Start your day in Billings right with free hot breakfast daily. 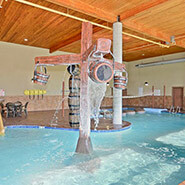 Best Western Plus Kelly Inn & Suites provides lodging accommodations near Cabela's, Rim Rock Mall, Billings Metra Park, several Real Estate Companies, Montana State University-Billings, Rocky Mountain College, Billings Clinic, City College at Montana State University Billings. "We do a lot of business in Billings and love this place. They are always helpful and I love the first floor rooms with outside entrances. We have dogs and it is so convenient when they travel with us. I also like the decor and it's always very clean...."
Billings offers an abundance of scenic beauty.